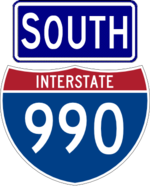 I-990 is a small freeway running from I-290 to NY 263. 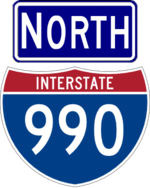 It was planned to run from I-290 to NY 31 east of Lockport, but the portion north of French Road was not built due to lack of funding. In the 90s, the road was extened to NY 263.